For anybody not overly familiar with my business, I recently hired a new transaction coordinator. Caitlin has been a Godsend to both myself and my clients, and if having a responsible, motivated and cheerful employee wasn't enough, she always has an amusing tale to tell. Just the other day, when we were meeting for lunch, Caitlin mentioned a conversation she had with a friend of hers that had me in stitches. Her friend's child came into the room and asked what equity was, having just overheard the word on a television advertisement. Unsure themselves, the friend then gave an explaination of equity that was more science fiction than fact. Luckily, Caitlin was there to educate both parent and child. Now, I don't mean to sound condescending, but there is just something amusing about a homeowner who is unsure about what equity is. It's like a NASCAR driver who is ignorant to motor oil, or a sailor who doesn't know the difference between port and starboard. All the same, I thought I'd write a post explaining a bit what equity is, why you want it, and how to acrew it faster. 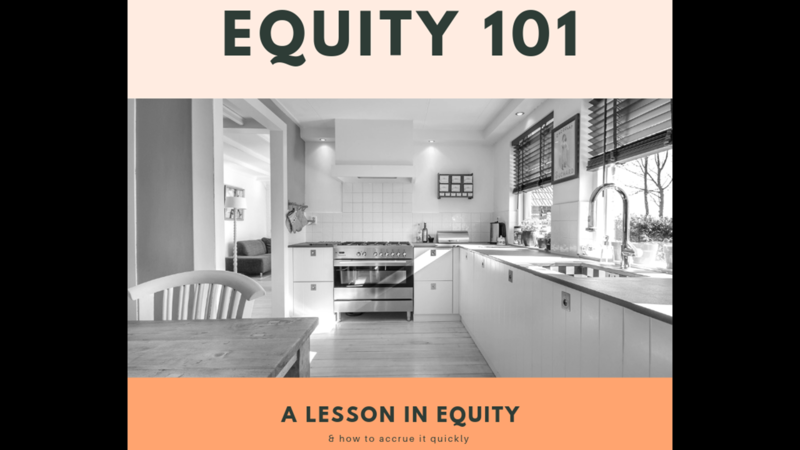 So, ladies and gentlemen, have a seat and enjoy this Home Equity Builder 101 lesson. When you enter into a mortgage agreement with a lender or lending agency, tehcnically, until that debt has been repaid, a lien against your house exists. That is why if you stop paying your mortgage payments, eventually you stop living in your home. Equity is the value amount of your property which you do own. Let's say your house is worth an even million dollars. If you've only 250,000 left on your mortgage, you've accumuliated 750,000 worth of equity on the property. Obviously equity is good to have, as who doesn't want to pay off their debts? But to anyone looking to become a repeat homebuyer, equity is as important as fat is to gravy. You see, it is rather common for homeowners to depend on the equity from their current home to buy their next home, and the more equity accrewed, the larger the possible down payment one can make. So, beyond the comfortability of paying off your loan, equity can be pivitol to your credit. Beyond all this, equity could possibly be used to pay for closing costs (in a roundabout way), which can be quite useful during the selling of a house. Throughout my over twentyone years in real estate, I've met more than a few people who will sacrifice their current financial comfortability to build up their equity as fast as they possibly could. This isn't a practice I would ever recommend! However, throwing a few extra dollars towards your mortgage payment every month can help you build equity more quickly, especially during the beginning stages of your mortgage when not much of your payment goes towards the principal of the loan. A bi-weekly mortgage is a great option for some to gain equity speedily. With a bi-weekly mortgage, you pay a mortgage payment every two weeks, as opposed to just one a month. Two of these bi-weekly payments generally equal up to what you'd pay in one lump sum once a month. With some months having 5 weeks instead of 4, this results in what would be considered an extra mortgage payment throughout the year. A 30 year mortgage is often paid off in only 20 years for those who impliment a bi-weekly mortgage, so it is definitely an option to discuss and consider. While paying extra payments towards your principal sounds like a good idea, I recommend using an amorization caculator easily found across the internet to do the math on how much interest there is to be saved from making additional principal payments, and much your loan will be shortened/how quickly you'll gain equity. When it comes to spending money, no need to do so needlessly, so make sure you've double, no triple checked your math before making a plan. This entire sentence is a link to the amortization calculator which I use. Lastly, I'll speak a bit about my personal favorite way to gain equity: appreciation! Appreciation is when the value of a property raises due to a variety of factors, some of which are out of your control. As areas grow, expand, or even stay exclusive, the value in said area either appreciates (raises) or deppreciates (lowers). Appreciation/deppreciation is usually linked to the supply and demand of an area, which is yet another reason to research the community your new home resides in before purchasing. 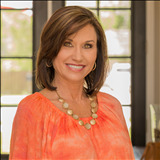 If you've got any questions about equity, your home's appreciation, or anything related to NWFL or real estate, don't hesistate to contact me via the phone or social media. As always, I hope you had as much fun reading as I had writing!